Even more than 70 years after V-J Day, there seems to be no end to the stories told about World War II. Books about the war range from the examination of military tactics to true-life tales of heroism and terror. 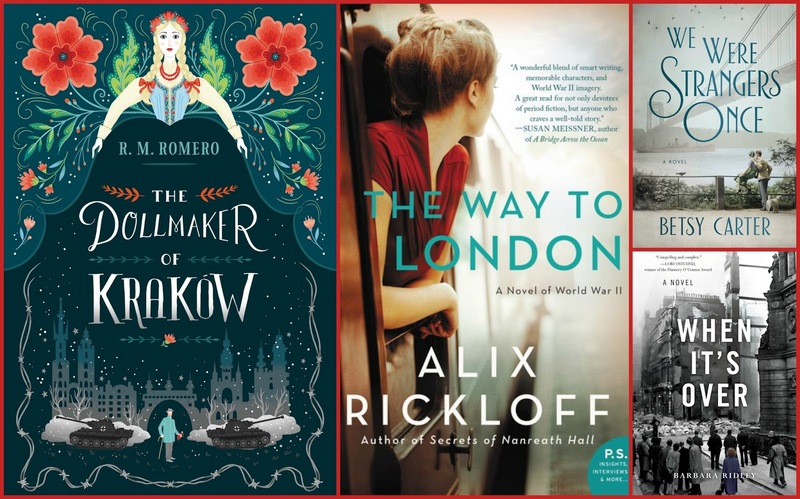 September brings four historical novels set during the war years, one takes place in Poland and is geared to middle grade readers, and the other three involve immigrants fleeing to safety. We Were Strangers Once by Betsy Carter (Grand Central Publishing, Sept 12): In the 1930s, Manhattan was the destination of many Jews fleeing Europe ahead of trouble. This novel explores the story of how such immigrants fared in a city where they may been safe from concentration camps but were in constant danger of destitution, loneliness, and deportation. (First line: " 'Remember, he's a busy man. No idle talk. And don't forget to wear your gloves.' 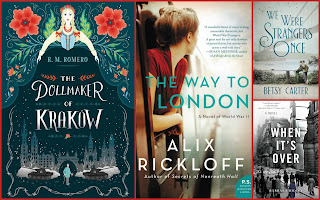 "
I'm kind of burned out of WWII novels, but always get recommendation requests for them, so will keep these in mind! I tend to like WWII novels and When It's Over Looks very good. I think I'll check it out. I used to read a lot of both fiction and non fiction WWII. Not so much any more, but thanks for sharing these.